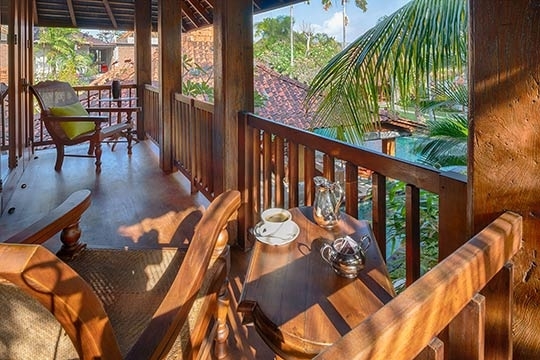 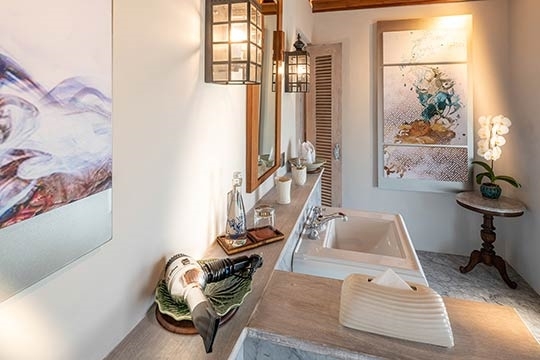 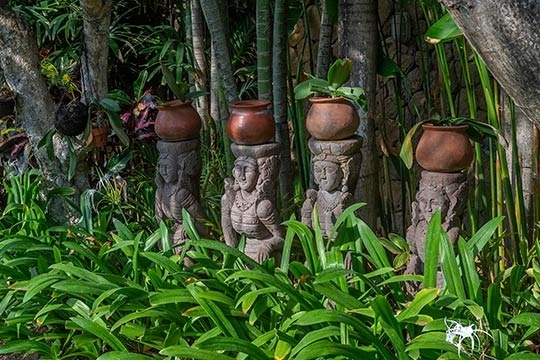 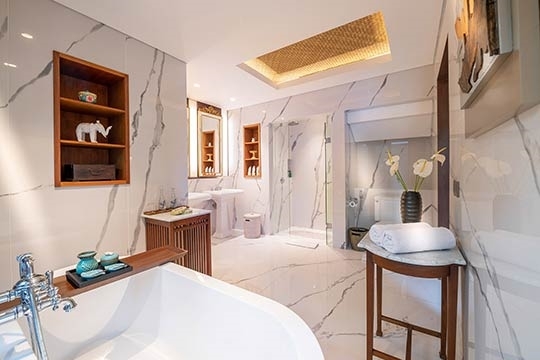 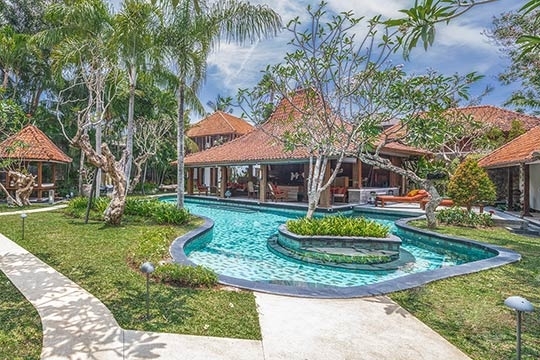 Des Indes I - an elite haven | Pictures, Reviews, Availability | Bali Villas: Private and Luxury Vacation Rentals in Bali. 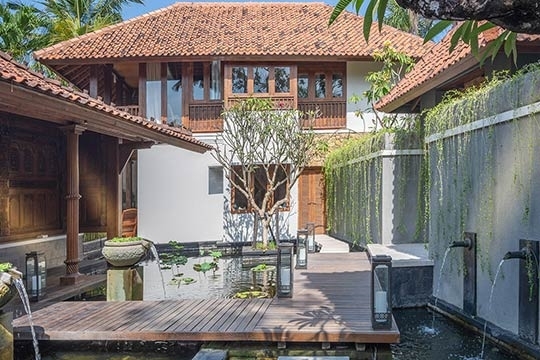 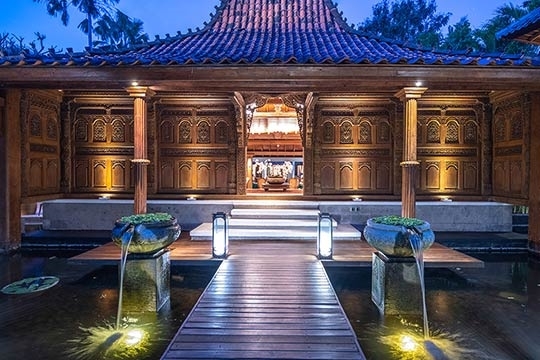 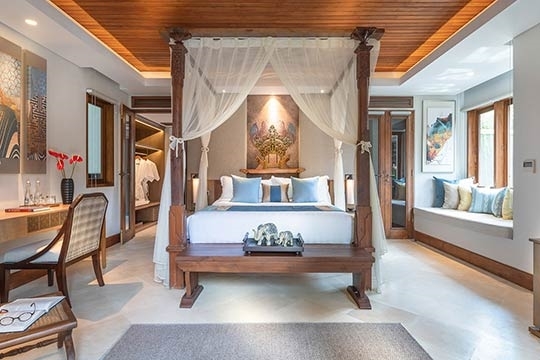 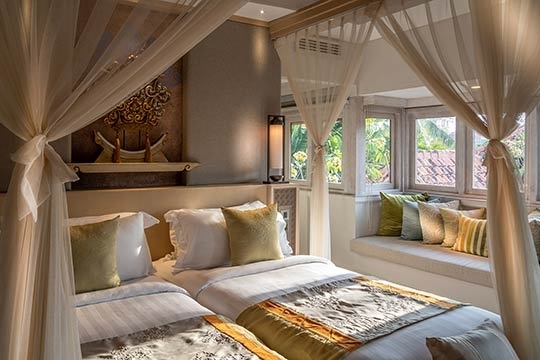 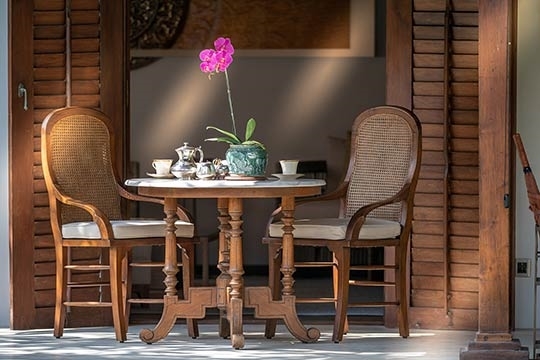 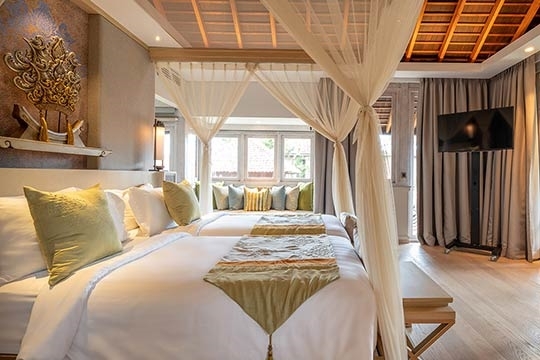 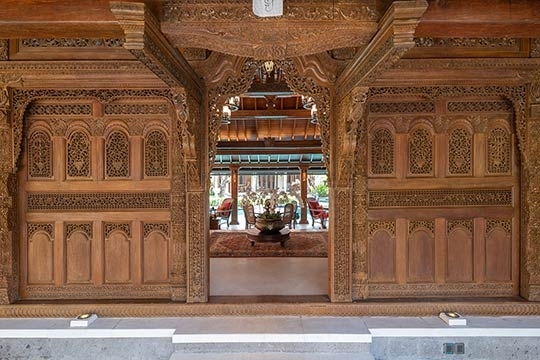 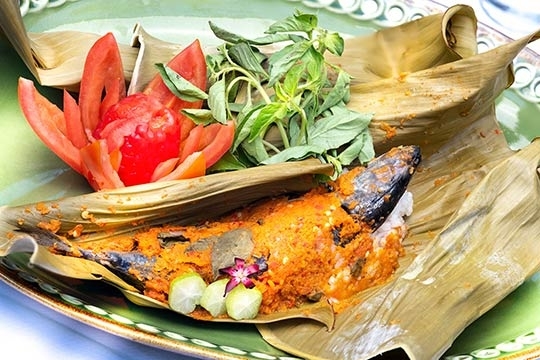 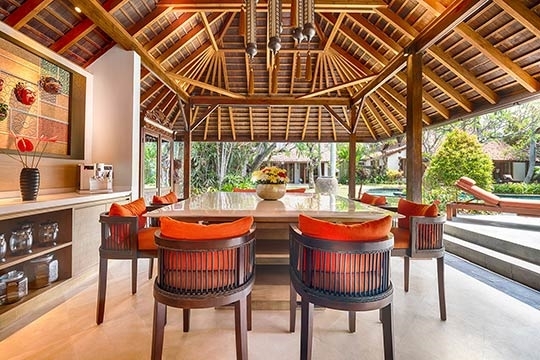 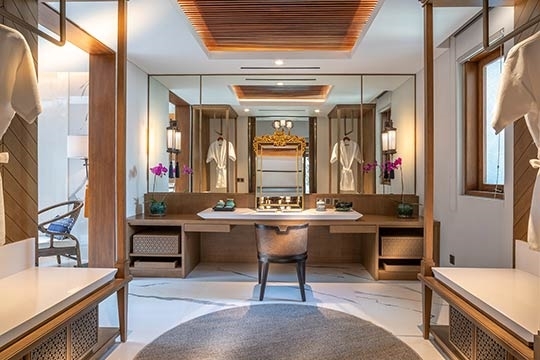 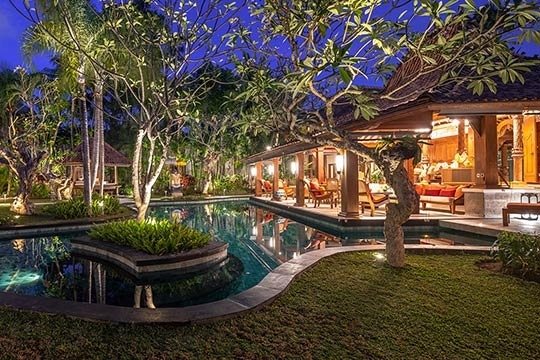 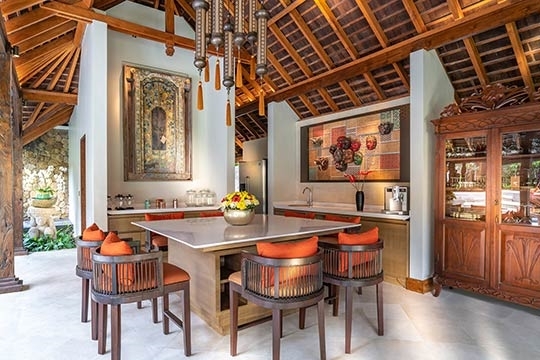 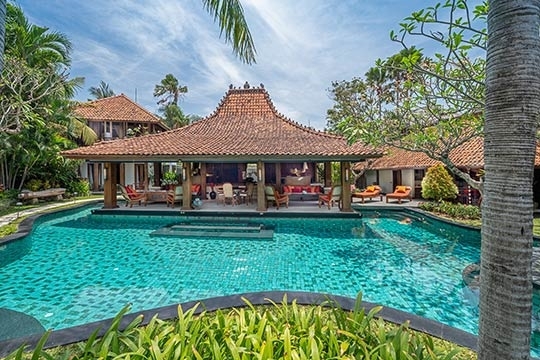 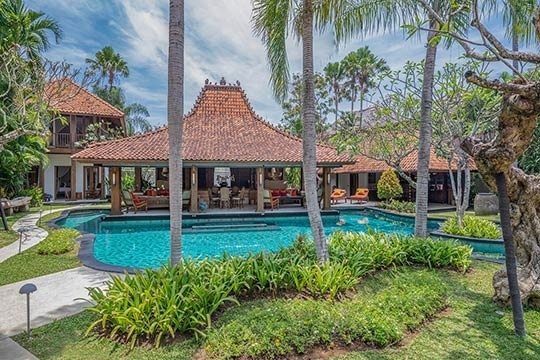 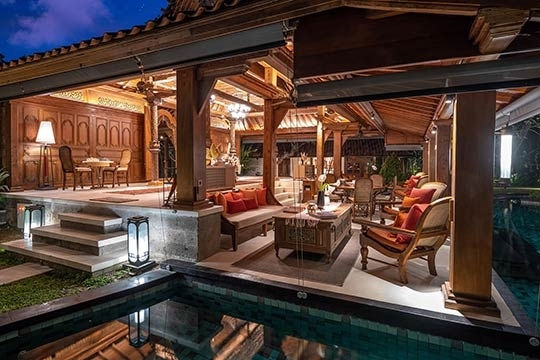 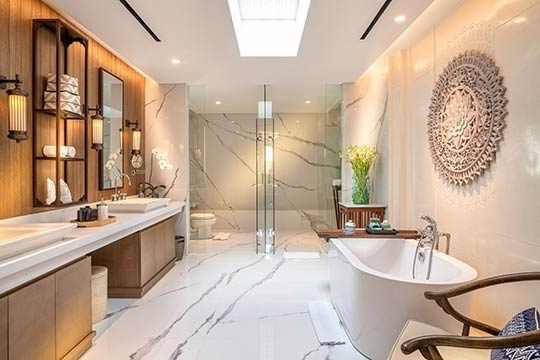 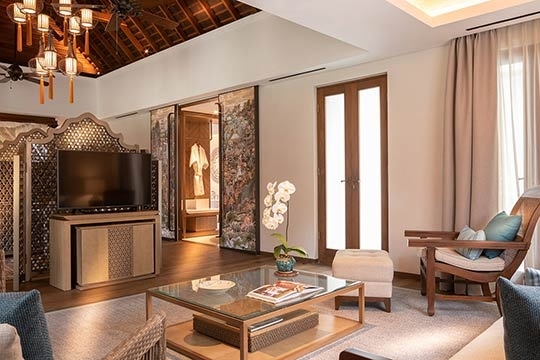 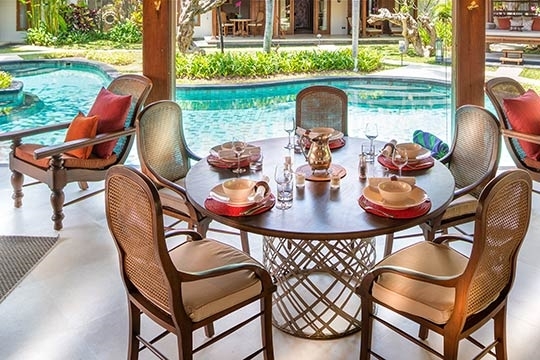 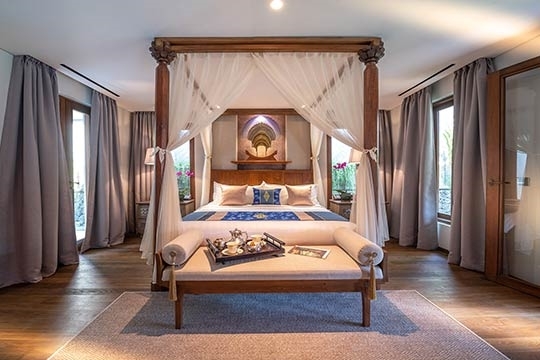 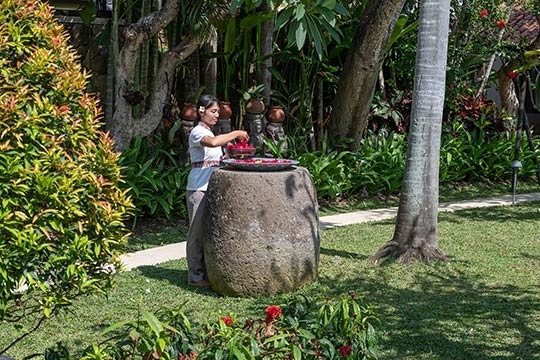 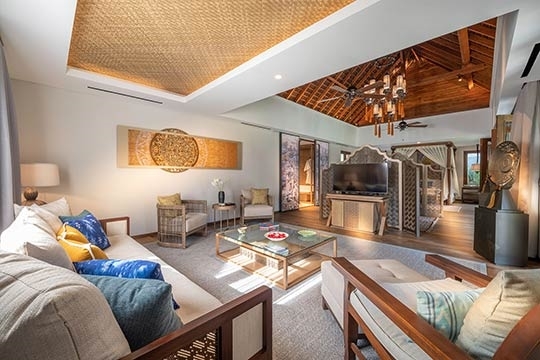 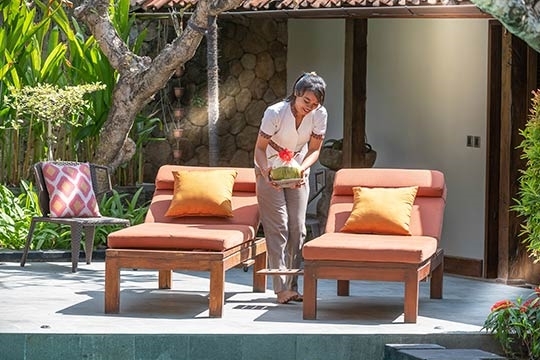 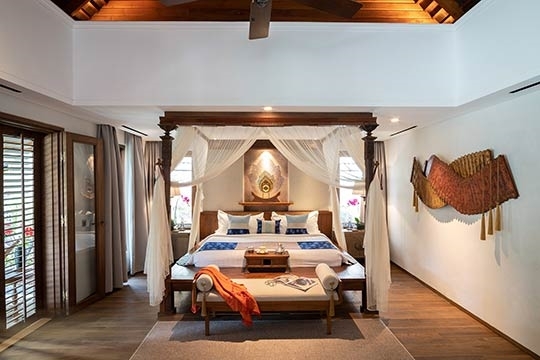 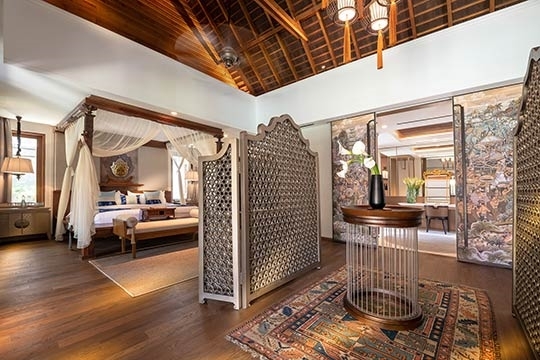 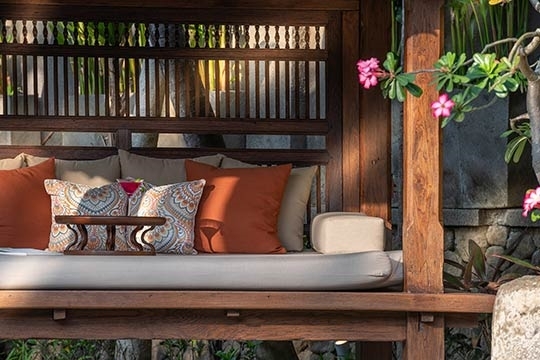 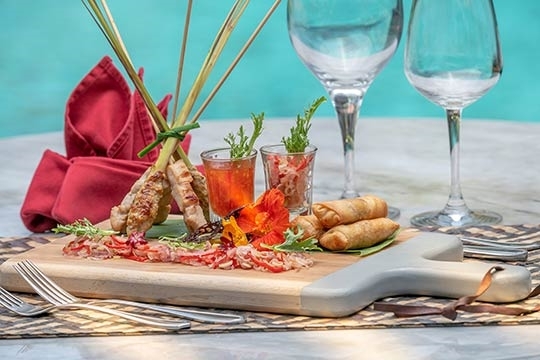 Villa Des Indes I is a sublime Bali luxury villa: a fully staffed, four-bedroom multi-pavilion residence within Seminyak’s exclusive Laksmana estate with a heritage teakwood joglo at its heart. 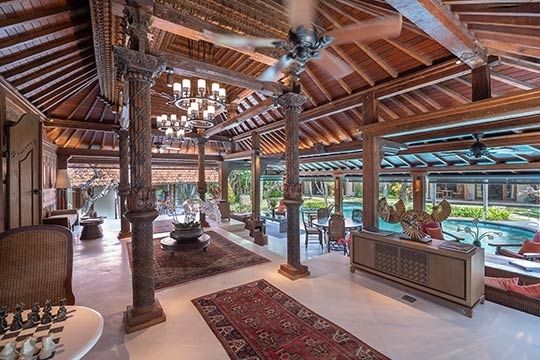 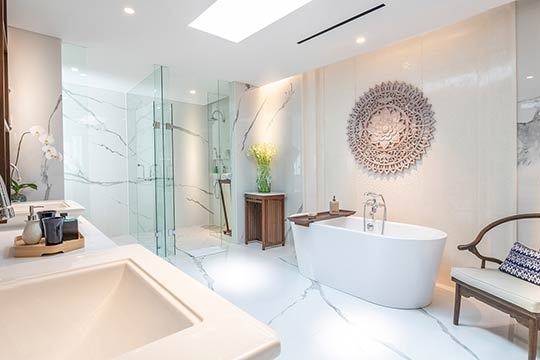 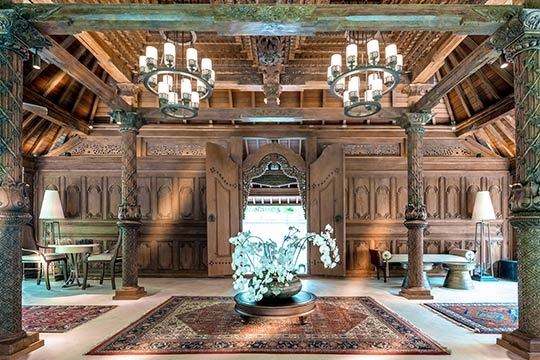 This palatial living space – plus the open bar pavilion, air-conditioned dens, glamorous bedrooms and bathrooms – features a fascinating collection of antiques and artefacts. 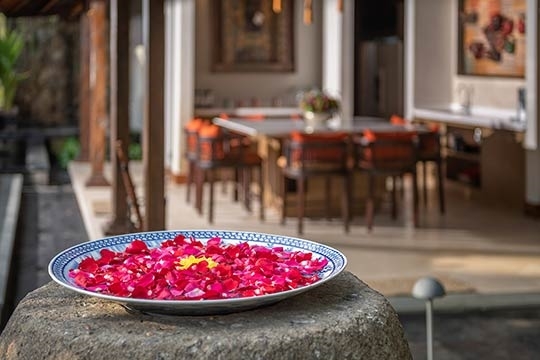 Contemporary luxuries abound, and the accomplished staff provides stellar service. 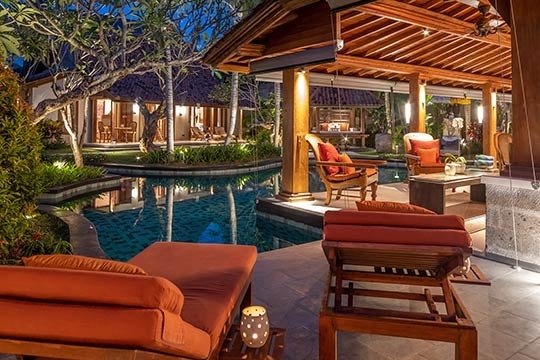 Within the tropical gardens is a 21m lagoon-style swimming pool and traditional bale. 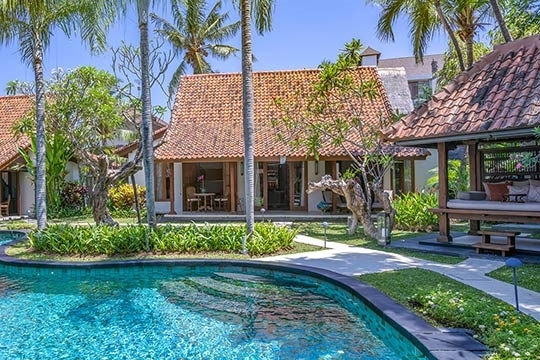 With Petitenget beach a five-minute walk away, along with Ku De Ta, La Lucciola, and Bali’s best eateries, boutiques and spas, this is a perfect villa for families and friends. 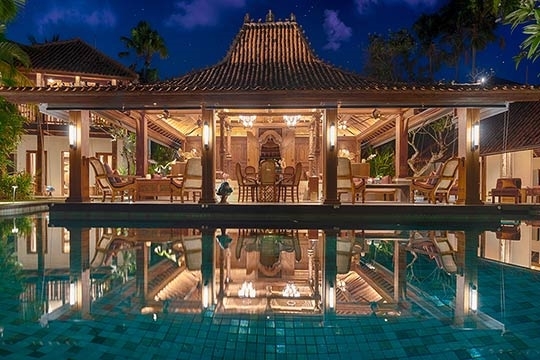 21-metre lagoon pool. 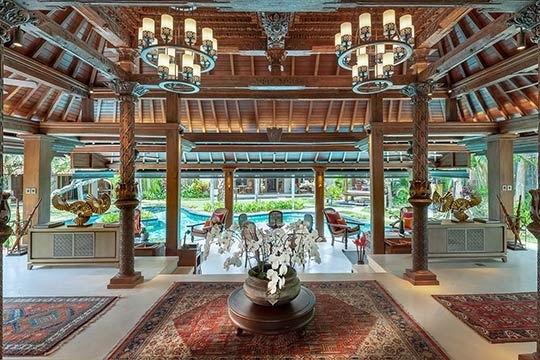 1m-2m depth. 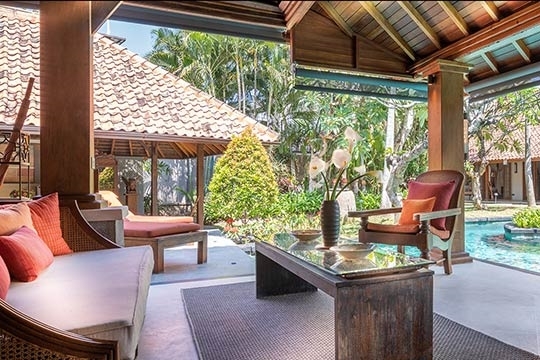 1,565 sqm (land); 783 sqm (build).